This month's theme is "Animal Encounters." 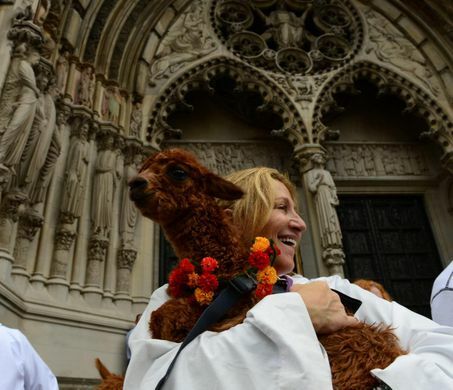 Here are home videos from St. John The Divine's famous, annual Blessing of the Animals. Fun stuff. :)) Learn more about the origins of this Franciscan tradition and the Feast of St. Francis.